Home / Destro / G.I. Joe / G.I. Joe: Real American Hero / M.A.S.K. / Matt Trakker / t-shirts / Check Out This Exclusive G.I. Joe/M.A.S.K. Mashup Design! Check Out This Exclusive G.I. Joe/M.A.S.K. Mashup Design! After the recent rumors surfaced of Matt Trakker potentially showing up in G.I. Joe 3, I got an idea for mashing up the two franchises in one design. The M.A.S.S. device (Molecular Assembler Scrambler Sender) was the main subject in the first animated G.I. Joe: Real American Hero miniseries back in 1983. For 5 episodes, Cobra and G.I. Joe waged a global war to acquire the necessary elements to operate the devices. The design incorporates the look of the M.A.S.K. logo (Mobile Armored Strike Kommand) but with Destro and his famous teleportation device. It was alot of fun to put together as both franchises meant a great deal to me as a kid and still do to this day! I've got an extensive vintage M.A.S.K. collection and I also recently began collecting G.I. Joe Kre-o building sets to go with some of my vintage toys. 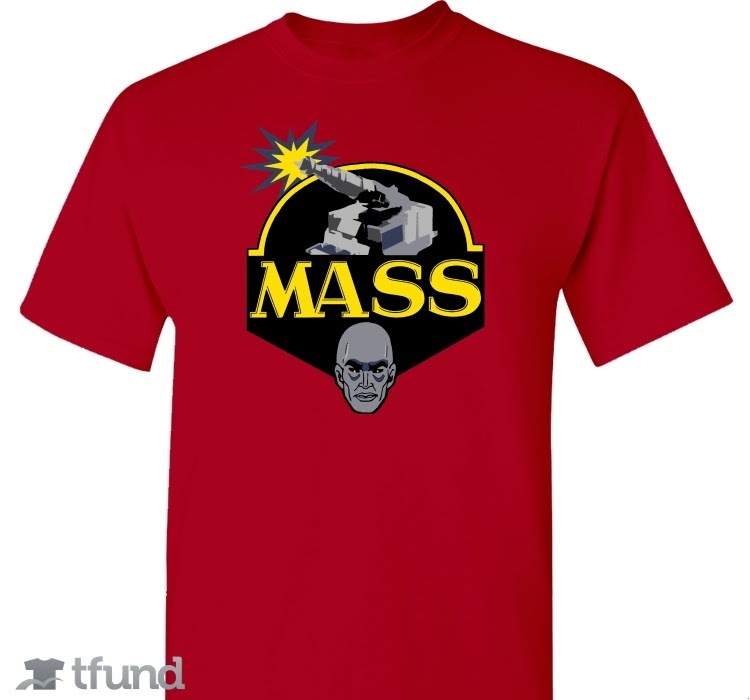 If you'd like one of these exclusive shirts, visit the "M.A.S.S. Device: The Ultimate Weapon" Tfund Campaign before March 4, 2015 and order for $13. Need just 10 backers to print and 25 will meet the overall campaign goal.